Sheppard Electrical Services is a licensed residential, commercial, and industrial electrician. Residential Electrical Services: Ceiling Fans, Electrical Outlets, Backup Generators, Panel Upgrades and more. Carl Hankins, Inc. is a well known licensed underground utility and excavation contractor. At Sheppard Electrical Services, we are constantly striving to exceed our customers’ expectations. 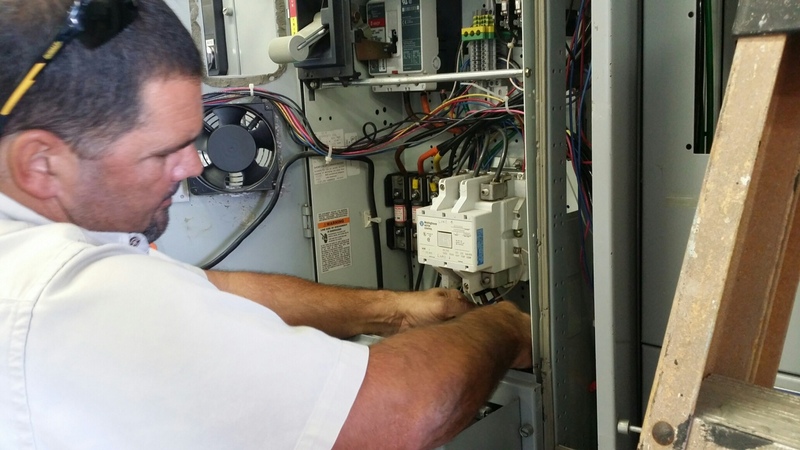 As a licensed electrical contractor that has been serving residential, commercial, and industrial clients throughout the Tampa, Florida, area since 1946, our levels of knowledge and experience set us apart from the other electricians in the region. In fact, our knowledge of the electrical service industry is so vast that many large public and private clients have entrusted us with their electrical repair and installation needs. 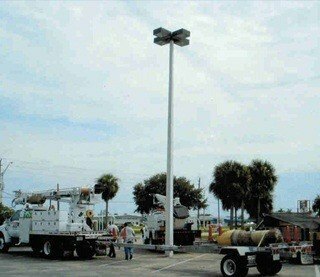 Our customer base includes the City of Tampa, Pasco County, Hillsborough County Public Works Department, and many more. We also have a residential department that is devoted entirely to homeowners looking for timely electrical repairs and installation. Whether you have a sparking outlet that is a fire hazard, a dazzling new chandelier that you want installed, or electrical components that suffered damage in a lightning strike, our experienced electricians will provide precise work at a competitive price. Our contractors and team are dedicated to going the extra mile, so we will never cut corners or perform work that isn’t up to code or may lead to issues down the road. We’re so confident in our commitment to precise service that we back our workmanship with a one (1) year guarantee from date of service. At Sheppard Electrical Services, we take pride in the level of service we provide, which is why our electricians have many years of experience; and work hard to bring quality, honesty, and integrity into everything they do. 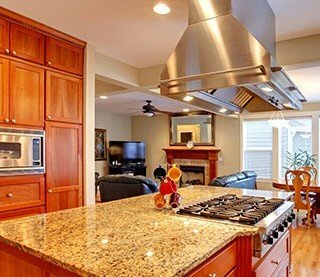 They can handle any type of job – large or small – from minor repairs and troubleshooting to highly involved home or office installation projects. Wonderful customer service and efforts to solve my installation dilemmas. 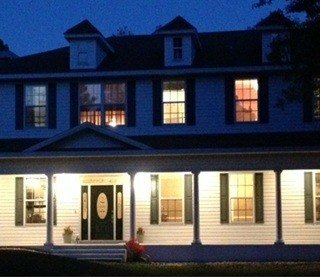 Sheppard Electrical Services did the electrical work for the builder who built our house. We have continued to use the company for the past 23 years! I wanted to thank your team and support with the installation of the new copier outlet. The friendly service and professionalism was felt throughout the whole process. Everyone was helpful over the phone in scheduling and arrived promptly on time! Sheppard Electrical Services was out this morning at my Nana's house to install a socket for her and they were fabulous! Great job and on short notice for something she really needed done. 1 want to express my satisfaction with the work you recently did for us. I especially want to thank your Service Electrician for their knowledge and great suggestion for solving the problem. In the seventeen (17) years we have lived in this area, Avila, we have not encountered the type of service, quality of work and exceptional attitude that we received from Sheppard Electrical Services. Please tell your Service Electrician he did a great job, it looks good. 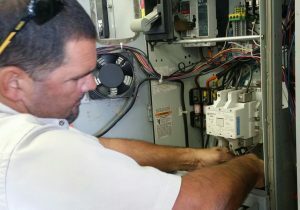 Sheppard Electrical Services provides a wide range of electrical work in the Tampa, Florida, area. For example, we install light fixtures, ceiling fans, outlets, backup generators, and more for both residential and commercial/industrial customers. Our electrical contractors and team can also upgrade or replace outdated electrical panels as well as install new electrical wiring in your home or office. In addition, our commercial customers have been pleased at the number of services we offer them, such as the installation of parking lot and street lighting, lift/pump stations, and voice and data cabling. In essence, whatever your electrical needs are, you can count on us to take care of them! 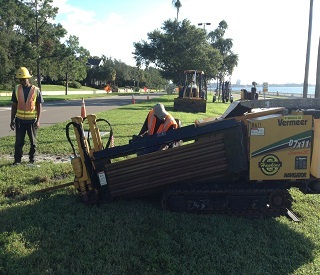 Plus, as a division of Carl Hankins, Inc., we can also take care of any of your underground utility needs. Carl Hankins, Inc., has served the region since 1972 as a licensed underground utility contractor, and we offer a variety of services for our customers. We construct commercial concrete sidewalks and curbs, install and rehab lift/pump stations, and install underground conduits for water, sewer, and electrical purposes. We have a large fleet of specialty vehicles and equipment including bucket, crane, and auger trucks, backhoes, directional boring, jack & boring machines, excavator and trenchers, so we can tackle jobs of any type or size. If you would like more information about the residential, commercial, and industrial electrical services we offer or our underground utility services, contact Sheppard Electrical Services today. We are proud to be one of the most trusted and experienced electrical contractors in the Tampa, FL, area! Sheppard Electrical Services is a licensed electrical and underground utility contractor that serves residential, commercial, and industrial clients. 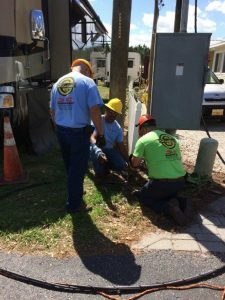 We’ve been providing electrical services in the Tampa, Florida, area since 1946, and our levels of knowledge and experience set us apart from the competition. © 2019 Sheppard Electrical Services.